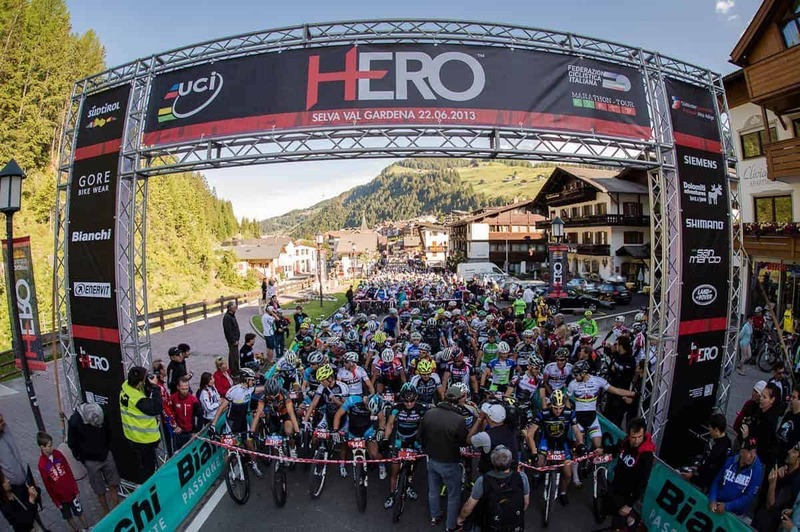 4,014 athletes from 40 nations take part in the 5th edition of the Südtirol Sella Ronda HERO, ready to shoot at 7.10 am on Saturday, June 21, 2014. Duration The most famous specialists in the world will compete in the hardest mountain bike race on the planet and will contend the coveted title of “Hero.” For the stars of the specialty, the appointment of the Dolomites will be the last test before the World Championship in South Africa.Il percorso si svolge attorno al Gruppo delle dolomiti del Sella e al Sassolungo, passando per la Val Gardena, lò’Alta Badia, Arabba, la Val di Fassa e l’Alpe di Siusi. The start and finish are in Selva of Val Gardena. At the start of the event are expected in 70 elite athletes, including 50 men and 20 women. Among the favorites can not miss Hector Leonardo Paez. Bronze at the world championship in 2013, the Colombian wants a hat-trick: for this he trained hard with his team-mate and former Italian champion Tony Longo, fourth last year.